Cagliari is the most important city of Sardinia with a metropolitan area that has a population of nearly half million people. 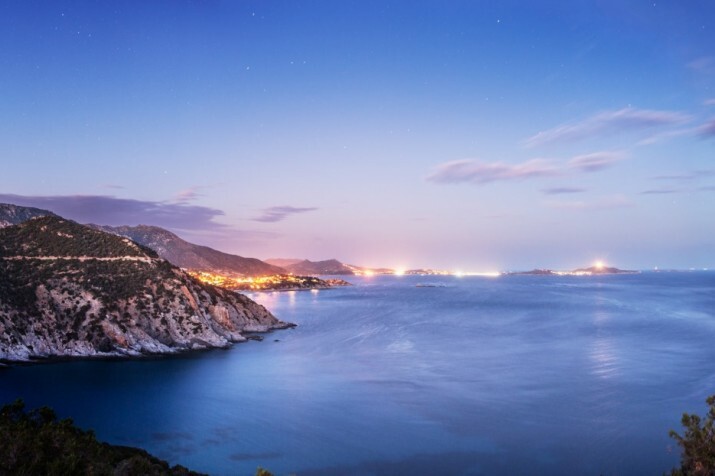 Sardinia's county seat is a combination of thousand-year old history, culture, nature, beach tourism and nightlife that will enchant the tourists together with the views from Castello, the bastions and the roman legacy. Cagliari overlooks the Golfo degli Angeli, on the southern coast. The city, extended on the hill around the historical district of Castello, is delimited by the Sella del Diavolo and the Pond of Molentargius (east), the Pond of Cagliari (west), the sea (south) and the hill of San Michele and the plain of Campidano (north). Cagliari preserves the history and testimonies of the ancient civilizations that lived in this area. During the centuries many culturally-different populations inhabited Cagliari and gave this city an open-minded attitude. Thousand-year old traces can be found in the alleys and narrow street that were once traveled only by coaches and wagons. It is a suggestive and scenographic city that was influenced by many cultures: the african palm trees and the calcareous-yellow colour are combined with a mediterranean architecture. It is suspended among sky, land and water. A few steps away from its long beach, there are unique natural oasis and lagoons. In the old salt pans, that during the sunset are coloured with red and purple shades, the pink flamingoes have found their ideal habitat. On the eastern side of the city there is the pond of Molentargius, a natural park and perfect habitat for many vegetable and animal species. Numerous and various events are organized in Cagliari throughout the entire year: the concert, opera and ballet season; the "Turisport"; the Fiera Internazionale Campionaria, an important showcase for the regional market, craftsmanship and industry; the events of "Arte e Natura" and "Artigiani a Confronto"; the festival of Sant'Efisio; the festival of Madonna di Fatima and many gastronomic events.